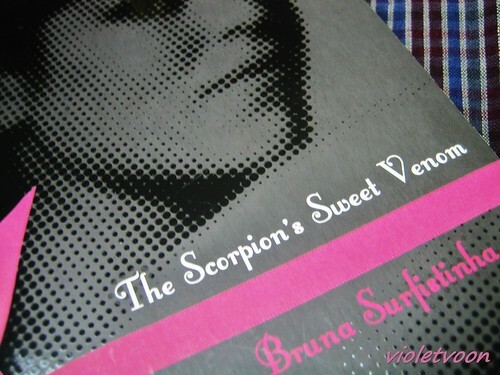 I read The Scorpion's Sweet Venom by Bruna Surfistinha, that's her pen name, her real name is Raquel Pachec. 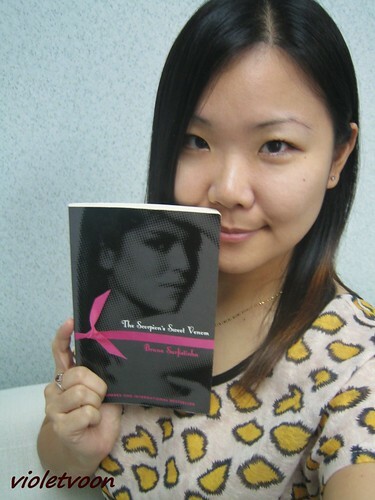 She left home at the age of 17, chose to become a prostitute...nobody forced her, that was what she wanted to do. Most of the people might look down on her profession, but, at least she has the courage most of us don't have. She knew what she wanted to do, and she went for it. Sometimes when older, "wise men" say something, it's foolish, other times it's very wise. As I'm becoming an older man, and hopefully a wiser one, I think it's more often the latter than the former. Sometimes, the world is really a different place than they recognize, but more often, it seems, the more things change, the more they stay the same. There will come a time when you will be a mother, or an auntie, and you'll find yourself saying the same things to the children that your mom said to you, and you'll think "Oh my god, did I just say that!" and realize that, yeah, it is actually true. Anyway... take care of yourself! I can't say I agree with anyone who chooses to enter that line of work. Even if she looks at her actions as empowering, she could also be empowered as the CEO of a giant multi-national corporation.